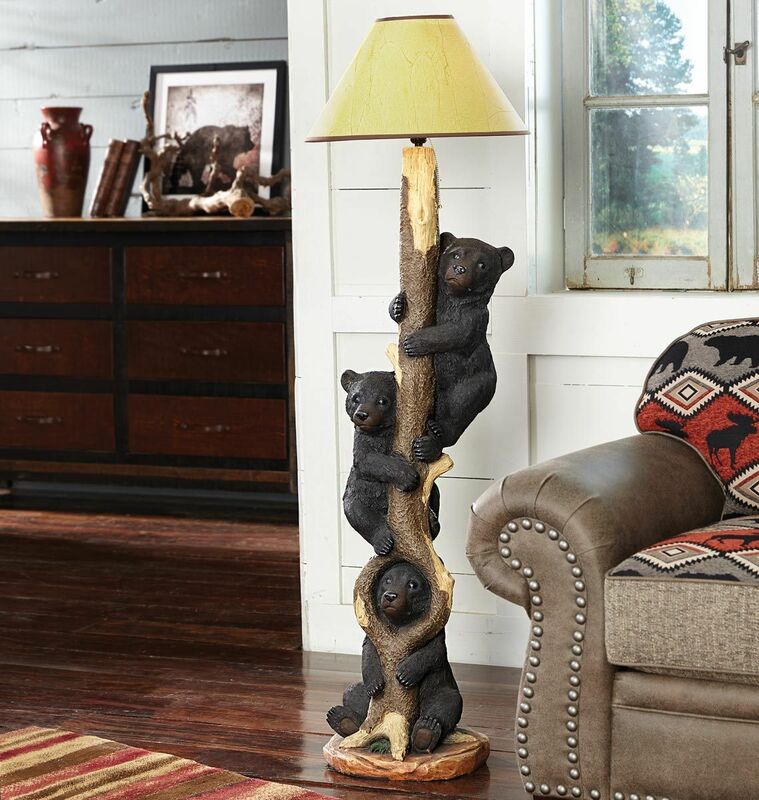 A Black Forest Décor Exclusive - Three curious bear cubs playfully climb a tree on this polyresin floor lamp. Uses one 40-watt max bulb. 13"W x 12 1/4"D x 52 1/2"H; 18"Dia. x 59 1/2"H with shade.. Allow 1 to 2 weeks.